Closed captioning. It’s more than just the least amount of effort a filmmaker can put into the old adage of “show, don’t tell”. It’s the talky part of videos, minus all that exhaustive listening. It’s the closest thing we have to those junior novelizations of movies they used to make. It’s what keeps relationships going between fans of Doctor Who and their significant others who can’t understand people with accents. It’s the unsung hero of the internet. It’s also a service that is highly beneficial for a video streamer to incorporate into their content, as it can help them expand their audience size tremendously. We’ve known about the importance of captioning for a while now. 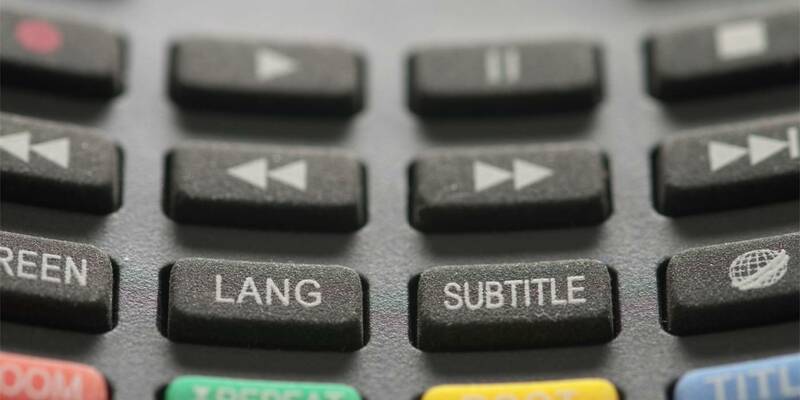 As an accessibility tool, it’s been pretty ubiquitous for decades, ever since the Americans with Disabilities Act and the Television Decoder Circuitry Act were passed back in the early ’90s, requiring captions for every program aired on television. For all of our gen-FOMO readers, a television was like a phone that was too big to carry and didn’t have a camera filter that makes you look like a cartoon dog. Ask your parents about them. They were bananas. Some of them had metal sticks on the top that you put aluminum foil on so they’d work better. Everybody’s living room used to look like a set piece from Lost in Space. Not that one. Or that one. There it is. The technology that allowed captioning to become so widespread actually comes to us from way back in the ’70s. A line of code was snuck into broadcasts and could be translated into text using special equipment. By 1980, Sears had developed an adapter that could decode the transmission on any television. It was a different time. Sears could still do things besides close. In 1996 it became law that all digitally transmitted television broadcasts would be required to include closed captions. Not only was this a huge step towards equality for the hearing impaired, but it revolutionized the getting-away-with-watching-TV-while-your-parents-are-asleep industry. A similar law was passed in 2010 with regards to internet broadcasts of television programming. At this point, it’s hard to find a professionally produced video on the web that doesn’t have subtitles available. 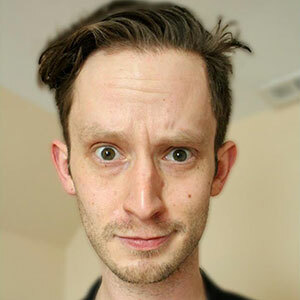 So what does that mean for you, stalwart producer of internet content? It means you need to caption your video. For a couple of reasons. First off, there’s a significant segment of the population that you’re not reaching without captioning. Around 15 percent of American adults report having some sort of difficulty hearing. Secondly, and this is a biggie, you might be surprised by how much viewing of internet video is experienced with the sound turned off. Take a look at your standard viral video on Facebook. How many of its viewers would you guess are watching it without sound? Really, guess. Just ballpark. It’s higher than that. I’ll just tell you. 85 percent. That’s right. More than half. More than two-thirds. About 85 percent of the views a video receives on social media will be sans noise. If Buster Keaton was alive today, do you know what he’d say? Nothing. And it’d be hilarious. Assuming you don’t want to lose more than four-fifths of your audience, you’ll probably want to consider options for captioning your content, if you haven’t already. Unfortunately for live streamers, there haven’t been a lot of ways to provide real-time captions during a broadcast. The technology hasn’t quite been there just yet. It was close, but anyone who’s tried using voice-to-text in the last five years knows what it’s like to see seventeen incorrect words and an ampersand translated on the screen instead of what you actually wanted to see typed out. Recently though, services like CaptionSync by Automatic Sync Technologies (AST) and Telestream’s Wirecast have started to catch up, providing a solid method of subtitling live streams, provided the videos have decent audio quality. If pro-grade software isn’t in the budget, what you can (and should) do is add your captioning in post. It won’t be available during the initial stream, but it’ll be there for any subsequent views. There are a bushel of ways to do this. Transcription services like Rev and Vicaps will caption your content for a small fee. Prefer to get your hands dirty? Doing the work yourself can be time intensive, but also free. Facebook and YouTube both provide the ability to caption your own work (learn how here and here, respectively) at no charge. Seriously, it takes some time, but for a small business or startup, it can save a bundle of cash. Just make sure you’re clued in on the differences between there, their, and they’re. Nothing hemorrhages viewership like bad grammar. And those are the basics. There’s a pile of ways to provide closed captions for your audience, and with the majority of social media videos being watched without sound, there’s no reason not to take advantage of them. Have any experience with one of these services? Can you think of something we missed? Make sure to let us know in the comments section.